Jodi Magness is with the Department of Religious Studies, University of North Carolina at Chapel Hill, where she is the Kenan Distinguished Professor for Teaching Excellence in Early Judaism. 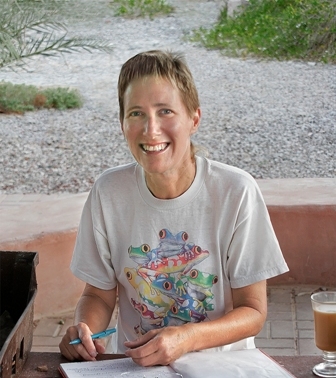 She holds her degrees from the Hebrew University of Jerusalem and the University of Pennsylvania (Ph.D.), and her areas of expertise are the archaeology of Palestine in the Roman, Byzantine and early Islamic Periods, ancient pottery, ancient synagogues, Qumran and the Dead Sea Scrolls, and the Roman army in the East. Professor Magness is currently the Director of the excavations at Huqoq, Israel and has also worked at Yotvata and Masada in Israel, Caesarea Maritima, the Athenian Agora, and ancient Corinth, Greece. She has published widely, was the recipient of the 2008 AIA Excellence in Undergraduate Teaching Award, and was a 2013/2014 AIA Joukowsky Lecturer. Professor Magness is the current president of the AIA.